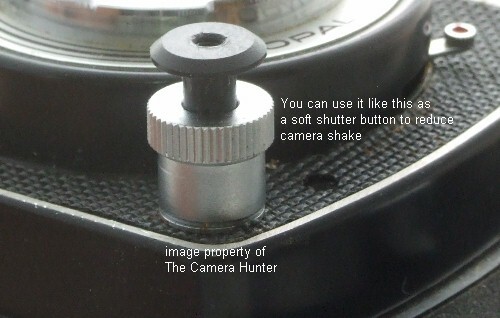 Here is a brand new ultra soft shutter release button for your Yashica Electro 35 Rangefinder camera. This little item is top quality, machined out of solid brass and chrome plated, made in JAPAN. Some people are all thumbs. Pushing the shutter button on a camera like the Electro 35 or any camera is awkward without this button. This little button is a must have for all of your cameras. It will screw right in to nearly every Yashica rangefinder camera ever made. As long as you shutter button has a threaded hole in the center his will fit. I really like having one on my camera. It makes it so much more convenient to find the shutter button fast and reduce camera shake. Here is a cable release adapter/soft shutter button made in JAPAN. 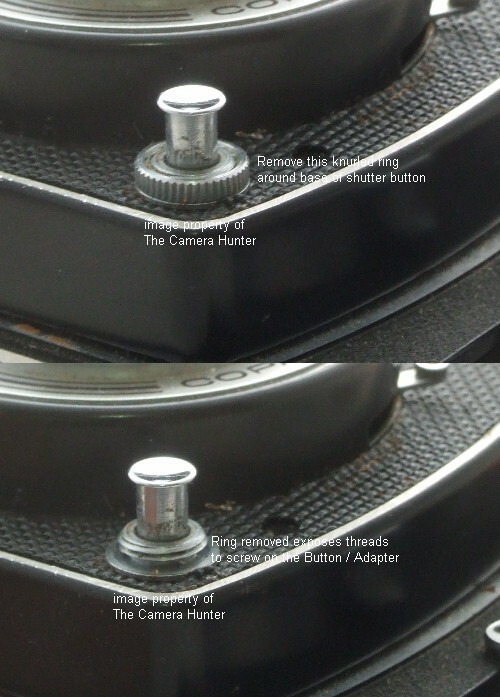 This allows you to attach a standard screw-in cable release to your Yashica TLR camera as well as operate as a soft shutter button to reduce camera shake. This will fit any camera that has a threaded ring around the outside of the shutter button. It is also threaded in the center so you can screw in a cable release if needed. The pictures clearly demonstrate the uses. I really like these and have always had one on my camera. Fits nearly all of the Yashica TLR cameras. Here is a brand new metal adapter made by Hama. 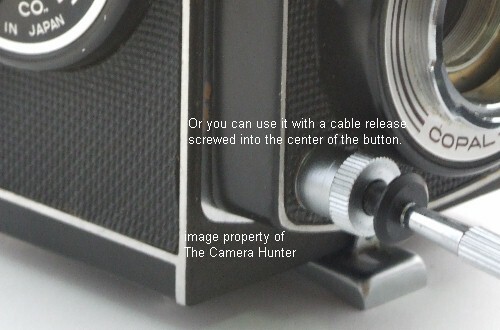 This allows you to attach a standard screw-in cable release to your Yashica TLR camera. This will fit any camera that has a threaded ring around the outside of the shutter button. I'm sure I missed a couple but you get the idea. If you need a cable release to go with it I have them listed as well.